Few things are better than cheap booze, but sucking cheap booze through a Twizzler might just make that short list. Scratch that, it definitely does. And, lucky you, you'll have the chance to embrace joy and reject dignity all April long and experience that for yourself. 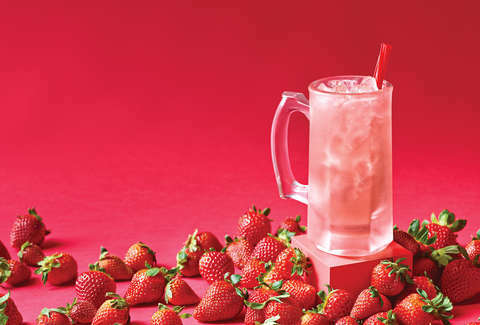 Applebee's debuts a new Neighborhood Drink each month, and April's is a Strawberry Margarita with a Twizzler straw for the low price of a single dollar. You simply cannot afford not to drink five; that's just economics. Or accounting. It's definitely math, anyway. The beverage with which you will soon be so well acquainted contains tequila, strawberry & margarita mix, is served on the rocks, and, we can't stress this enough, comes with a Twizzler garnish/straw. Anyway, they're cheap, and who are you trying to impress?